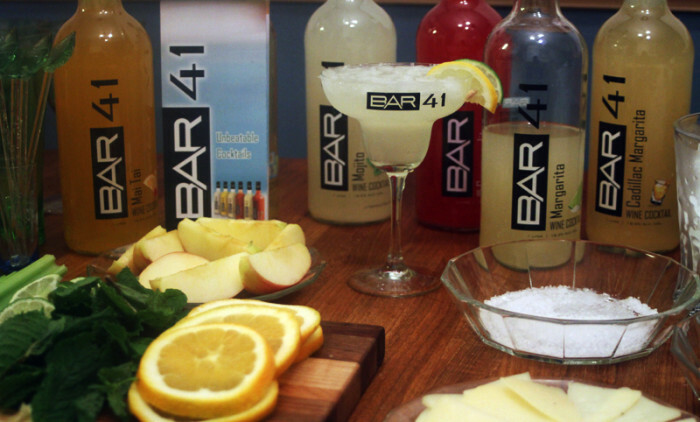 Bar41 pre-mixed cocktails make creating your holiday bar quick, easy, delicious and affordable! Festive cocktails can make or break a holiday party. Delight your guests while avoiding the stress – and expense – of collecting the mixers and spirits with Bar41 pre-mixed cocktails. 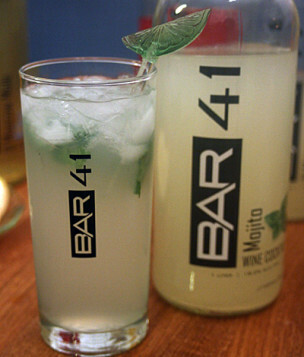 Bar41 pre-mixed wine-based cocktails come in Mojito, Margarita, Moscow Mule, Cosmopolitan, and Mai Tai flavors. With garnishes on the side, we were, with a little practice, able to mix and serve popular traditional style drinks that are ready to pour. Bar41 crafted, pre-mixed cocktails are not made with spirits such as vodka, rum or tequila. Instead a propriety process ferments oranges, in much the same manner as wine, to create a clear spirit that is then enhanced by talented craft-mixologists with natural flavors to create your favorite cocktail profiles. The premise may baffle some cocktail connoisseurs. Orange wine based cocktails that taste like our favorite bar cocktail? Is it possible? Q: Is it a wine cooler? Q: Is it like the traditional cocktail? A: Bar41 is very close to the real thing in taste and aroma. Q: Does it contain alcohol? A: Yes, at 16 percent it is a little higher than most wines and a little lower than traditional spirits. Q: So how do they do it? 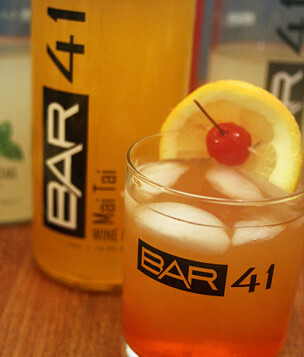 Bar41 spirits are derived from the fermentation of fruit, mostly oranges, and, as in the fermentation of wine, the conversion of fruit sugars into alcohol. That spirit is reduced to a refined, clean state before natural flavors and essences, like mint essence in the Mojito, are added to create Tequila, Vodka and Rum based flavored drinks. The quest to perfect Bar41 was beyond making a convenient cocktail option for the holidays; it had to allow for a quality product that would taste like a traditional alcohol cocktail but that could be served in restaurants that have only beer and wine Type 41 licenses – hence the name Bar41. So how does it taste? 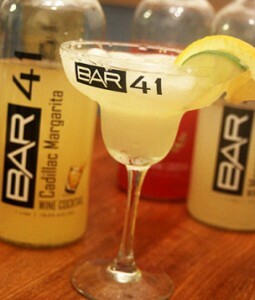 While Bar41 is a finely crafted, pre-mixed cocktail, it does benefit, as does its alcohol-based cousins from those garnishes – a lime and salt for the Margarita or orange and salt for the Golden Cadillac. Float some freshly crushed mint in your Mojito. The advantages of Bar41 are complete, pre-mixed and well-crafted cocktails, ready to serve, offering a consistent cocktail every time. They are easy to serve, requiring only a good shaker, ice and garnish to create professional quality drinks for your guests. After testing the cocktails in the home, our favorites were the Mojito and Margarita, which makes sense as those are our favorite cocktails as well. Among our tasting party we also had those who loved the Cosmopolitan and the Mai Tai. One of our taste testers pointed out that as the alcohol, regardless of the “flavor,” was all the same, he could enjoy the variety of flavors without mixing his liquors. These are drinks best served very cold. 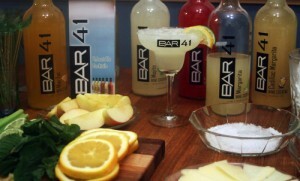 By personalizing them with garnish and sodas you can create a bar quality cocktail with only Bar41 in your well. 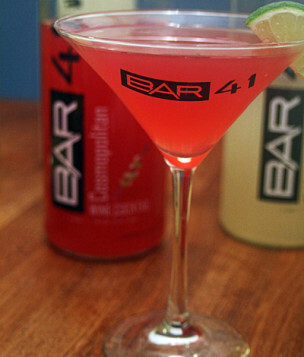 In California, find Bar41 is already, currently served at numerous locations in the Los Angles area.